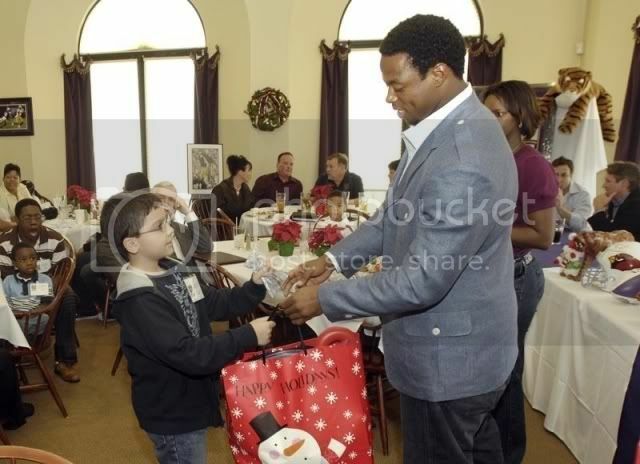 Early Doucet, a wide receiver for the Super Bowl bound Arizona Cardinals, spent the Christmas holidays in his native Louisiana, handing out gifts and school supplies to youth in the local Big Brothers Big Sisters program. 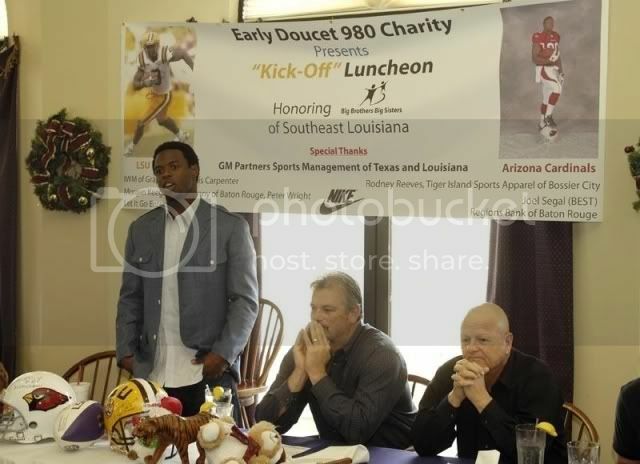 The charity luncheon was held on December 9, 2008 in Baton Rouge, and served as the kick off for the Early Doucet 980 Foundation, a non-profit organization that was created to inspire young people to take responsibility for their future by reducing their “at risk” status and allowing mentors to take an active role in assisting them to reach their goals. Doucet spoke with the youth about his life experiences, sharing, "I was in a single-parent home, five sisters, the only boy. My parents were divorced when I was young, so I kinda strayed away and did some of the typical things an adolescent at that age would do. And it came to a point where I had mentors come into my life and positive role models and it got me into the right direction, which allowed me to become the man I am today." Visit the foundation website at http://www.doucet980.com/ ** Website no longer active. What you are doing is awesome! Tairen Morgan, one of the young boys in the first picture, is a student at our school. Key Foundations Preschool provides educational opportunities for preschoolers in Baton Rouge. We offer a Montessori based program and we are located in the Mid City community. Key Foundations has been instumental in helping single mom Latrice Morgan with Trae and Tairen Morgan and we look forward to helping other families. In addition to the preschool, we have two other programs: the Girls Club (servicing young girls ages 8-15) and our Building Healthy Relationships Program ( designed to help foster good communication in relationships of all kinds). Many of our children are the product of single parent household's with moms struggling to give their children the best early childhood opportunitie on limited budgets. East Baton Rouge Parish school programs fill up quickly and these moms struggle to find alternatives. We want to make our school available to any parent who wants to enroll their child. We need your help to provide scholarships, tell your friends about us, making an appearance to read to our children, become a partner with our school, get involved with our board, and most of all pray for our efforts. Let's partner together to make a team effort to impact the community for children, youth and families. Early what you are doing is wonderful! The only suggestion I have for you is to give back to your community. You are from St. Martinville not Baton Rouge. You know there are many at-risk kids in the neighborhood you grew up in. 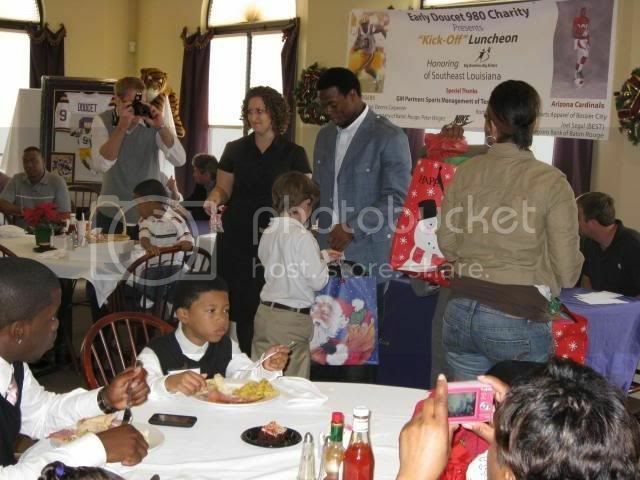 Give back to YOUR community that really needs it.